This translated Iranian folk tale is rather old fashioned in layout, with richly coloured illustration on one side of a double page and text set on an opposing white page. 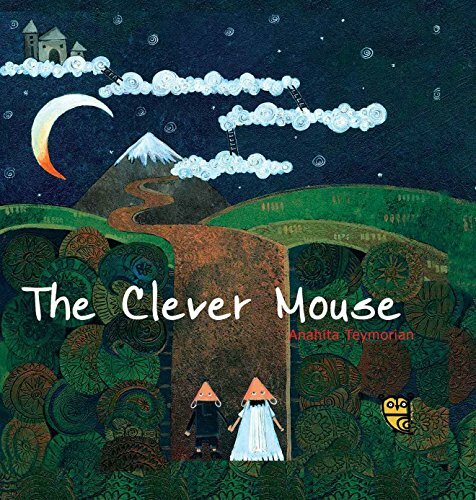 It’s a fable about Mr Koochi, an ordinary, hard working and eminently deserving mouse (very much like the voter all the parties were pitching for in the late general election) who takes it into his head to marry the King’s daughter (how’s that for aspiration). Luckily the King is able to consider his request because the mouse princess is rather plain and plump, and previous suitors have been more interested in her money than her. 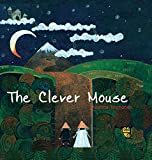 Our mouse just wants a wife with a kind heart, and the princess agrees to marry him on condition that he promises never to leave her on her own. However, on the way back to his house, Mr Koochi has second thoughts, and abandons his new wife while she is sleeping. She is then attacked by robbers; but, thank goodness, Mr Koochi’s better instincts kick in and he returns in time to take on the band of robbers single-handed. So he proves his valour, his love and his ability to learn from his mistakes. All of which makes him a proper heir to the Kingdom. It’s a pleasant story with a down-to-earth view of marriage and some wonderful illustrations, themselves darkly earthy and appropriately folksy with modernist touches. There is, unfortunately, a proof reading error on page 15 (“own my own” should read “on my own”), something for this new publisher to watch out for in future books. This year Tiny Owl is publishing eight picture books from Iran in translation.